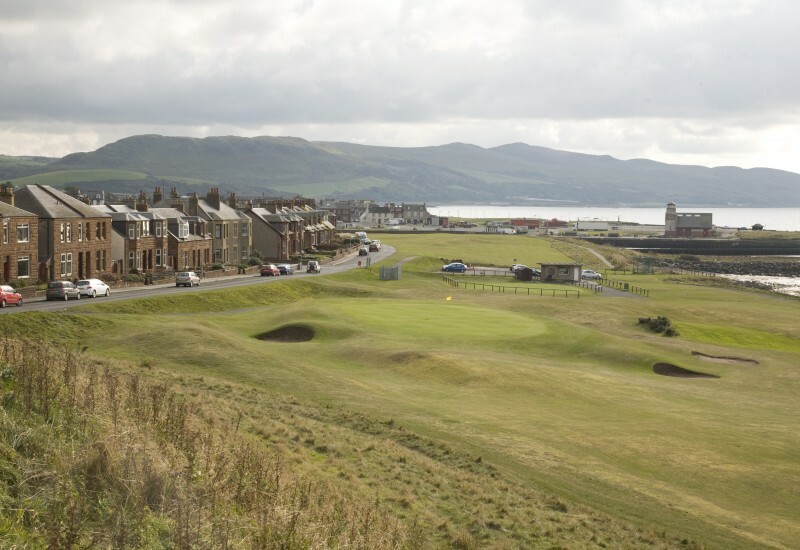 Girvan opened in 1902 but it wasn’t until a familiar name in golf course architecture, the five-time Open champion James Braid, worked his magic to turn the fantastic setting into the hidden gem that it is today. The course is famous for its picturesque views of Ailsa Craig, the Isle of Arran and the Southern Uplands. You will struggle to find better views on a golf course. Girvan is quirkier than the average golf course as it is almost a tale of two halves when you plot your way around it. The first eight holes of the course are exposed and adjacent to the beach, providing a classic Scottish links test. The remaining ten holes, meanwhile, are more parkland in nature, offering a completely contrasting challenge with the added interest of the river, which winds its way towards the closing 18th hole. Girvan is recognised for its par-3s, of which there are eight. Six measure more than 200 yards but it’s the shortest of these – the 106-yard fifth – that is one of the best. Located on the stunning coastal part of the course, the hole has out of bounds to the right and behind the small green.